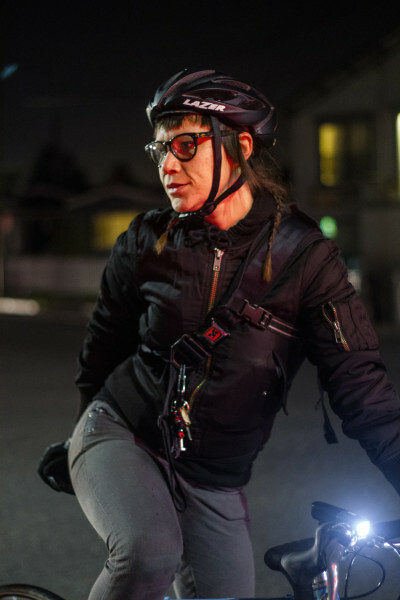 Although industry standards and trends increasingly recognize the significant presence and influence of women in cycling, one group has been fighting the good fight for more than a decade. 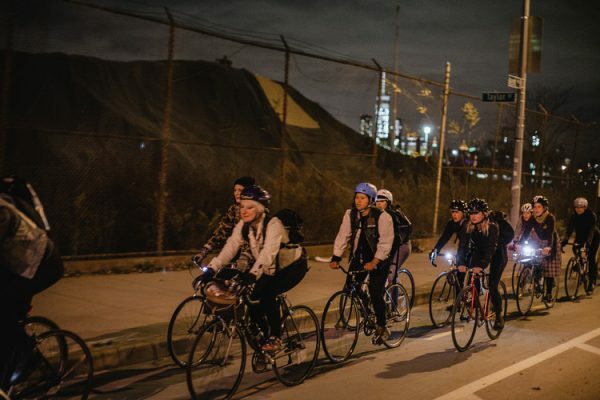 The all-female cycling club FWOD (an acronym with many meanings, currently For Women Only, Duh) originated in Oakland and now enjoys a thriving Brooklyn chapter as well. 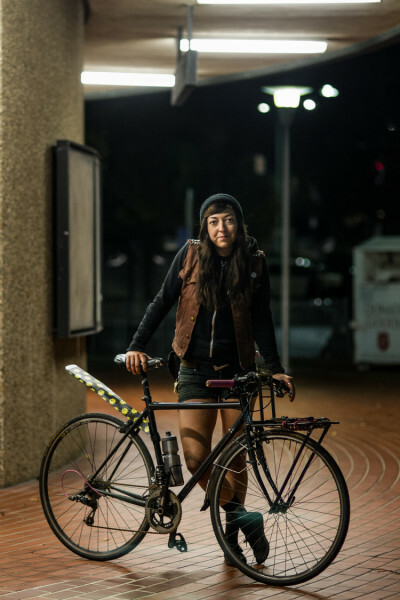 With roots dating back to 2004 as an alternative to the Mustache Ride, a male-only ride in Oakland, FWOD found its voice a few years later primarily through Kate Coysh, Savanna Tracey, and Sanja Wetzel. 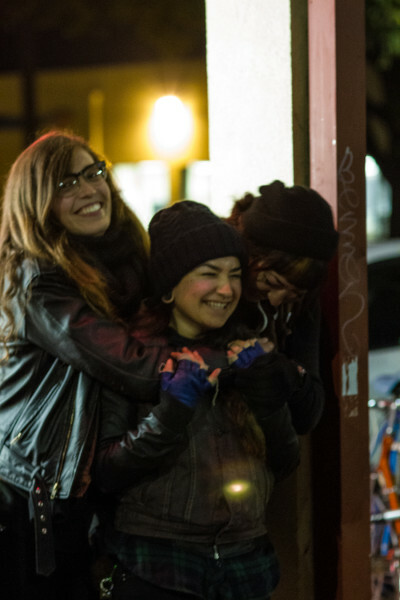 All three of these women have been riding and growing with FWOD throughout its tenure. While there is no specific leadership structure, you can often find one of them “rallying the troops” when they get together. The lack of hierarchy is intentional in order to promote a fully egalitarian organization. When making decisions, everyone’s input matters and vote counts. 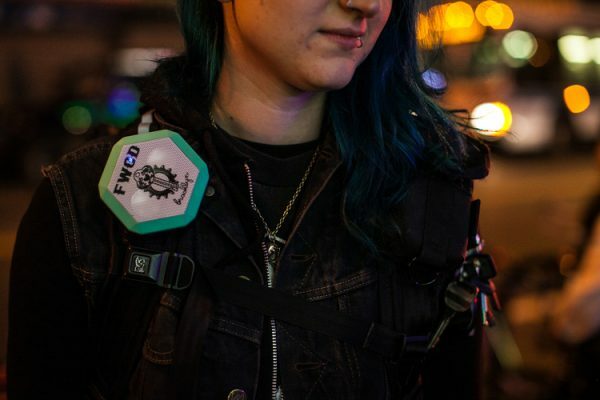 FWOD finds that power in numbers is key to their success. 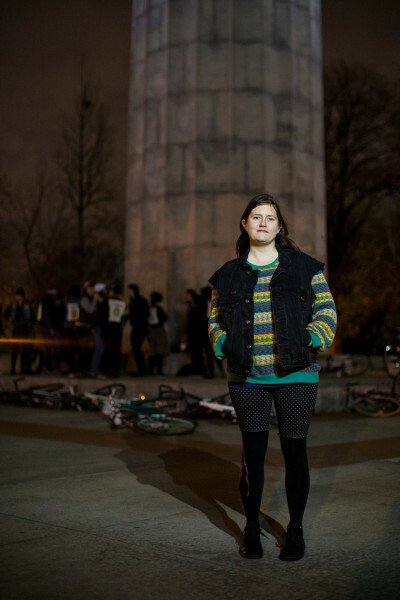 Being an underrepresented gender, women organizing a group ride became the most effective way to challenge this perception. The all-inclusive ethos of the group has been a natural progression. What started as women’s only club has expanded to include trans and cis individuals as well as anyone who identifies as a woman. 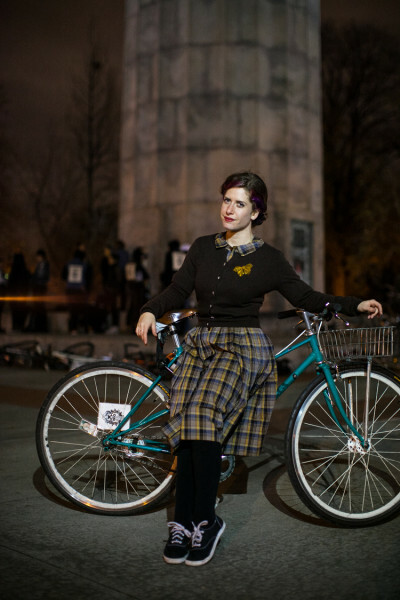 Beyond that, discussion and education is crucial to the radical mindset that complements FWOD: Understanding that women come in all shapes and forms with the goal of creating a safe space for those who feel isolated from cycling to participate in. 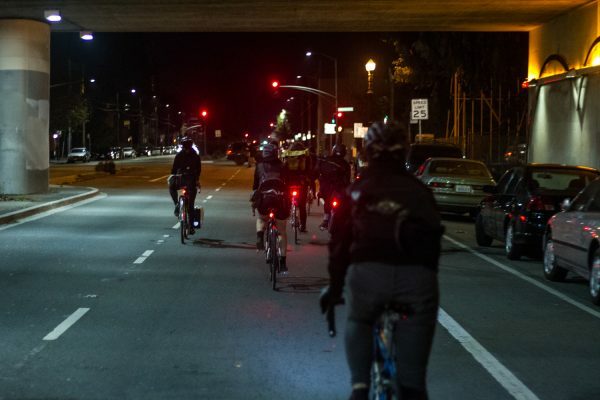 The defining structure of FWOD is their weekly night ride (Tuesdays in Brooklyn, Wednesdays in Oakland). To maintain an inclusive environment, there is a meet-up and discussion on what the route/destination is for that evening. The ride is open to all skill levels with a strict “no-drop” policy in place. 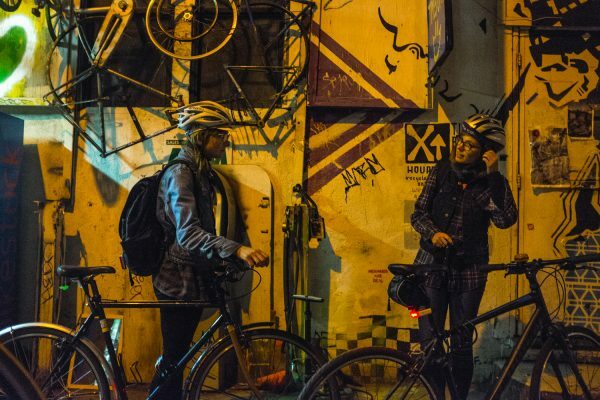 Besides creating an environment for women to feel safe and enjoy camaraderie on their bikes, it is also an opportunity for those who don’t ride to gain confidence on the road. 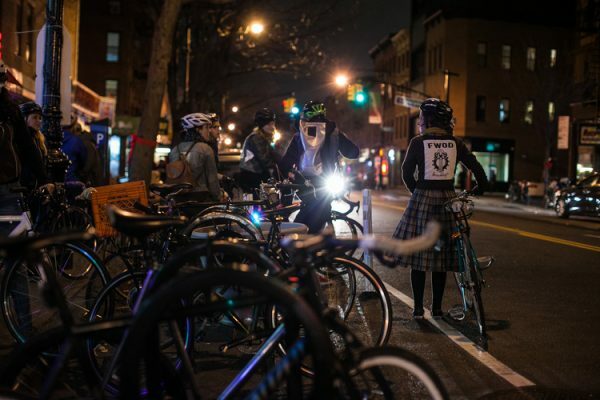 Looking beyond weekly rides, the women of FWOD are no strangers to philanthropy–between fundraiser alleycats and seasonal toy drives, the club also takes monthly dues that go to the Broken Babes Fund, an emergency relief fund for injured women involved with the group. FWOD’s legacy is a cultural niche in the form of a support group for women. This group fosters a fun and safe environment for individuals to grow and learn more about their bikes, community and city. 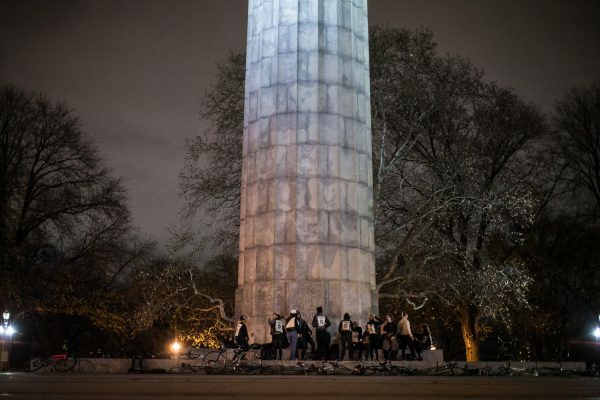 To find out more about the club and when they meet on either coast, follow them on Instagram @fwod_oakland or @fwod_brooklyn and check out their Facebook page. This article first ran on Pretty Damned Fast. Follow Chris Lee and John Reiss on Instagram. Follow Pretty Damned Fast on Instagram.